This week’s special is a collection of Gerber products designed for easy carry and hard use. First up we have the 06 Fast assisted opening folder. The blade and handle shape calls to mind the Recon line from Cold Steel Knives, though the assisted opening mechanism is a nice addition for those who favor quicker deployments. The blade is three-and-three-quarters of an inch long and made from 7CR17 steel. The G-10 scales are textured but not quite as aggressively as those on the Recons, and the overall hand-feel is quite comfortable. The history of the Gerber LST goes all the way back to 1980, when Pete Gerber and designer Blackie Collins produced it as one of the first knives on the market with an all-synthetic handle. Lightweight performance was the goal then, and it continues to deliver today with a sturdy lockback design, two-and-a-half inch, 420HC steel blade, and total weight of a whopping 1.2 ounces. The Guardian Back Up is a mean little fixed blade that works nicely as a light, compact self-defense knife. The double edge spear point blade is made from high carbon stainless steel, and the handle is subtly grippy glass-filled nylon. The lightweight sheath features adjustable withdraw tension controls and can be clipped to boot or belt for easy carry. 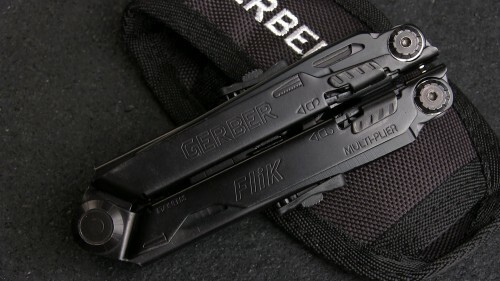 The FliK is a cool little multi-tool with some nice features, including a unique method of pliers deployment and a dedicated locking mechanism for each side of the tool. It has a bit of weight to it, but the nylon belt sheath holds it securely and it includes a solid number of tools. Overall, these are a few lightweight carrying options from one of the biggest knife companies around. You can see more of these featured products here, and check out the entire Gerber brand here. The 0350 takes all the great construction and materials of the flagship ZT0300 and fits them into a package that is 10 percent smaller and three ounces lighter than its rather hefty big brother. The result is a truly fantastic every-day-carry knife. The three-and-a-quarter inch blade is made from S30V stainless steel, which is known for its durability and corrosion resistance. The blade comes in several finishes, from stonewash to tiger stripe, and a recently released model features a great, two-tone satin/stonewash finish and M390 steel. Deployment is via the flipper or the dual thumbstuds. The handle has nice size and hand feel, and the four-way, “quad-mount” pocket clip system epitomizes the well-built and versatile nature of the Zero Tolerance brand as a whole. Hard to find a chink in the armor with these things. The SpeedSafe assisted mechanism is great, as always, and the liner-lock – as opposed to the 0300’s frame-lock – secures the blade during use. Overall, the Zero Tolerance 0300 is a fantastic EDC offering with a lot of room for personalization. On first glance, these knives reminded me of some of the great LionSteel models that I have handled, with their one-piece, frame-lock handle and the minimal and pleasing milling and blade design. Everything about the knife’s presentation screams quality, right down to the neatly organized packaging. The three-and-three-quarters inch blade is made from CPM-S35VN stainless steel with either a flat or hollow grind. Deployment is via the smooth, ambidextrous thumb disk, which I found quite effective despite my preference for milled thumbstuds. The one-piece handle offers a nice tactile experience with its combination of texture and smoothness, and the smooth frame-lock mechanism ensures easy blade deployment and closing. 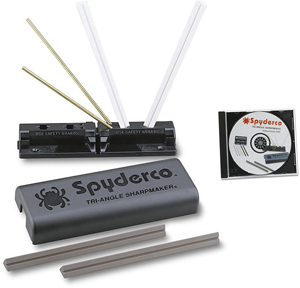 The pivot can be adjusted simply in the field with a flat-head screwdriver. Comes with a lanyard loop, as well as a pocket clip for tip-up, right-hand carry. Both models come in four different color schemes, and all versions are only available on our website. See more about the Stedemon SHY folder here. In my opinion, this medium-sized model is the best every-day-carry option of the Voyager line; it provides the same great level of performance without the increasingly excessive bulkiness of the larger models. The three inch, stonewash blade is made from Japanese AUS 8A stainless steel. This week we’re featuring three different blade types – a plain and combo clip point, and a combo tanto blade. Big fan of the slim grooves on the dual thumbstuds, which helps for quick and certain deployments. The handle is lightweight and durable Grivory with a deeply textured design for great grip. The infamous Tri-Ad locking mechanism is solid, as always, and combined with a weight of just over three ounces, this thing offers an impressive strength-to-weight ratio. See more about the Voyagers on special here, and check out our entire inventory at KnifeCenter.com! I have yet to handle a more aptly named knife than the Paradox, which, despite first impressions, is not actually a balisong – or butterfly – knife, but a two-handed opener with integral springs in the handles that make it more reminiscent of a slipjoint folder. The result is a product with all the looks of a classic butterfly-style blade without the issues regarding legality that many balisong enthusiasts face. It’s quite a large knife overall. The leaf-shaped hollow ground blade is five-and-a-half inches long and made from Japanese AUS 8A stainless steel. The skeletonized handles are CNC machined aluminum with a hard-anodized coating and comes with a stainless steel pocket or belt clip. Overall, the Cold Steel Paradox lives up to its name, and I’m sure its design and novelty factor will appeal to many knife-lovers out there. 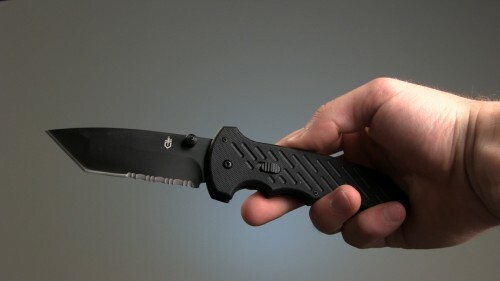 Check out more about this knife here, and see all of our products at KnifeCenter.com! Those of you who follow us on Instagram will know that I’ve been getting a little post-crazy about these things since we got them in a couple days ago, and for good reason: these knives are almost obnoxiously photogenic. 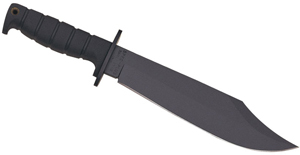 The three-and-a-half inch blade is made from D2 Tool steel. It has great shape and a very subtle bit of jimping on the spine. 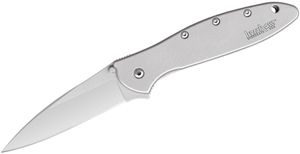 The handle features 6AL4V titanium scales with a steel liner-lock mechanism and a flow-through design. There is also a 3D machined pocket clip for tip-up right-hand carry. Great grooves and hand feel on this thing. Overall, the Brous Blades Exo is a formidable addition to the mid-tech market in terms of size, features, and materials. 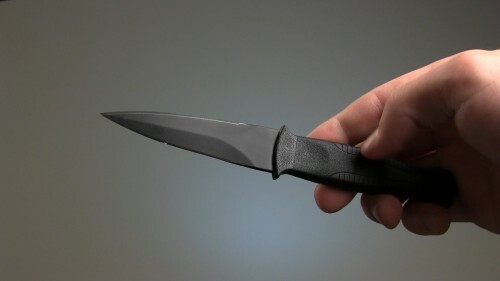 See more about the knife here, or check out all of our products at KnifeCenter.com! This week’s special pays tribute to one of the most influential weapons designers of the modern age: this is the Böker Plus Kalashnikov 12. The three-and-one-eighths inch blade is made from 440C stainless steel with either a combo spear point or combo tanto shape. Both deploy via the dual thumbstuds. The spear point version includes a flipper feature, as well, though in my opinion the thumbstuds offer better functionality. The handle is extremely stylized aluminum with a liner-lock design, a glass breaker and a cord cutter. A cordura sheath replaces a pocket clip feature on these models. The milling does give the handle a lot of texture and good grip, and the overall hand-feel is quite comfortable. Overall, the Böker Plus Kalashnikov 12 is fitting tribute to legendary weapon and designer. You can click here to learn more, or see all our products at KnifeCenter.com! This week on Warehouse Hunts we’re looking at a few packs to make carrying all that delectable new gear you’ve bought this season just a little bit easier. Now, the general rule with backpacks is to buy the largest bag you think you’ll need under any given circumstances; it’s easier to lug around a larger, half-filled bag than to have to leave out potentially crucial supplies to save space. So if you only have the budget for one bag, go big first and then fill out your collection with more specialized bags as you go. These are three good, different-sized packs to look at if you’re in the market. Check out our entire selection of packs here. Load up on your most coveted 5.11 Tactical items with our semi-annual sale! Use promo code 511DAYS for 20% off all in-stock 5.11 products from now until Saturday, May 16th (11:59pm). 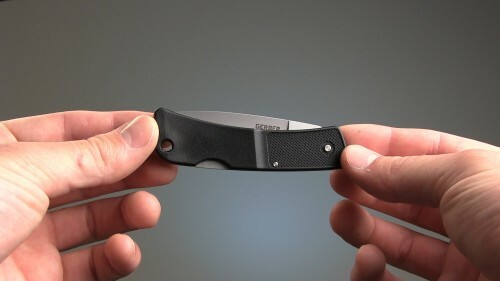 Check out the items featured in the video review here, and see all eligible products at KnifeCenter.com. The Copper Hunter LE: a classy version of a classic knife. Buck Knives gives you a spin on the 110 with the Copper Folding Hunter. The Buck 110 has been a staple in their line since 1963. 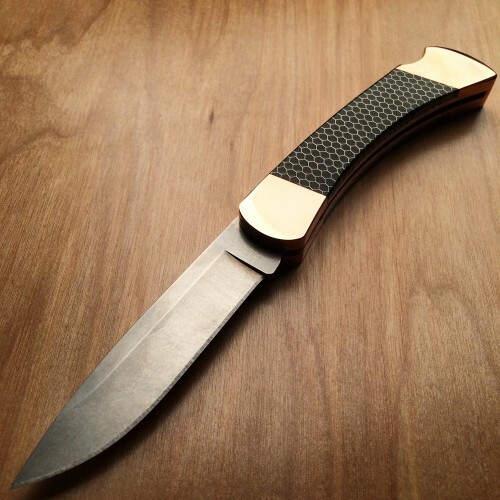 Created by Al Buck when he decided that outdoorsmen needed a sturdy knife that wasn’t a fixed blade. Years later and Al’s knife is still selling strong. The Copper Hunter is a part of the legacy line and with this beautiful look it plans to start one of it’s own. A 3.75″ S30V steel blade with tumble polish. The handles are C-TEK and Nickel Silver with copper bolsters. Includes Certificate of Authenticity. Serialized with a total quantity of 250. See more about the Copper Hunter here, and check out our entire inventory at KnifeCenter.com!